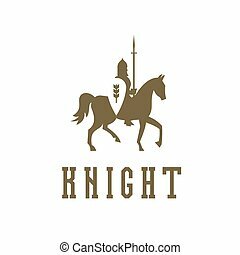 Knight with spear and banner. 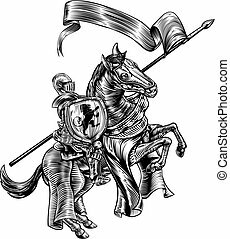 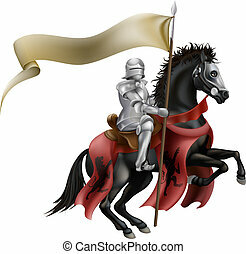 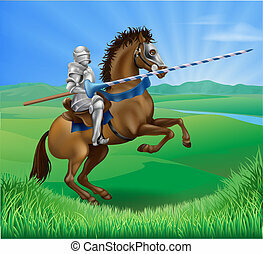 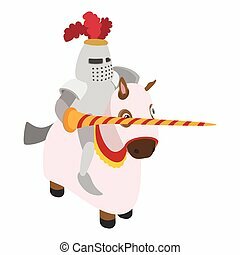 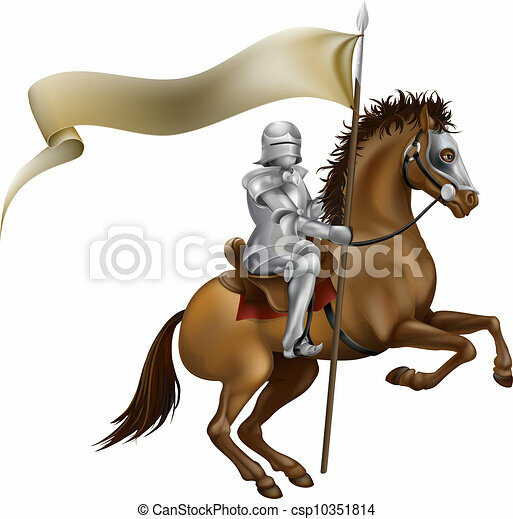 A knight with spear and banner mounted on a powerful horse. 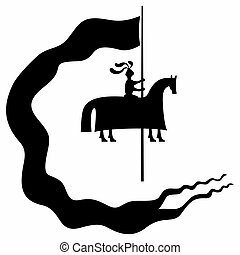 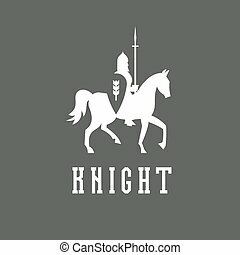 The emblem of a medieval knight on a horse with a banner in his hands. 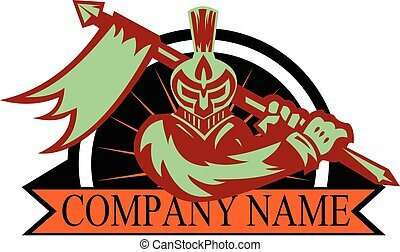 Ribbon banner old emblem with sward and ax. 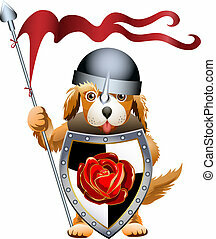 security and protection sign. 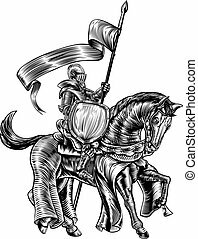 warrior icon. 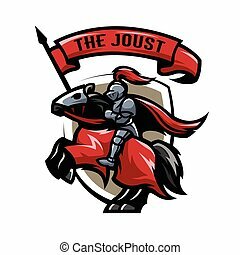 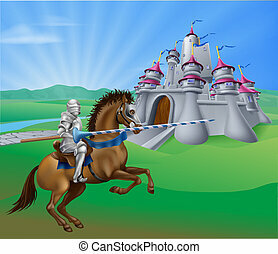 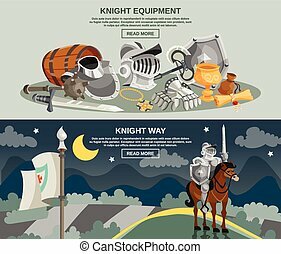 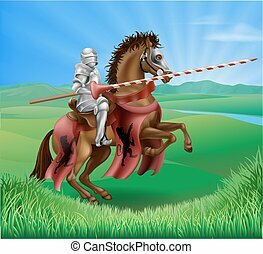 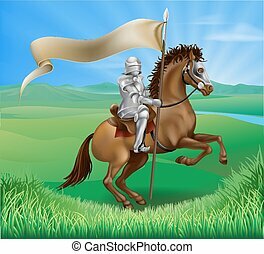 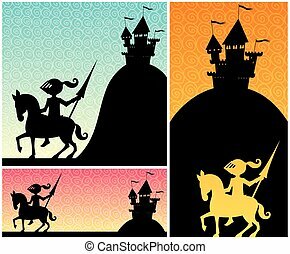 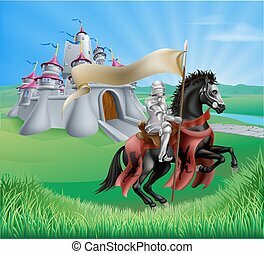 Set of cartoon banners with knight and castle silhouettes, and copy space for your text.